I grew up on Southern food. My granny making biscuits and bacon gravy is one of my cherished childhood memories. Since moving to Arlington from my small East Texas hometown in 2008, I’ve gotten the opportunity to expand my palate as well as my knowledge of cultures different than mine. Because Arlington—located in the heart of the Metroplex and home to a university that draws students from all over the globe—is a mixing bowl of different groups and cultures. I love getting to experience all kinds of culture. A simple taste can tell you so much. Whether it’s how the dish was cooked or what produce was included, a plate of food gives you insight into their world. Coming from East Texas, burgers and chicken strips were about as adventuresome as I got. After nearly a decade living in Arlington, I’ve been able to broaden my worldview without ever leaving the city. There are tons of local restaurants featuring every food style from El Salvadorian to East African. Three of my favorites are Pho and Po Boy, Tu Taco and New York Eats. Pho and Po Boy opened last fall in South Arlington, and I’ve been pretty much obsessed ever since. 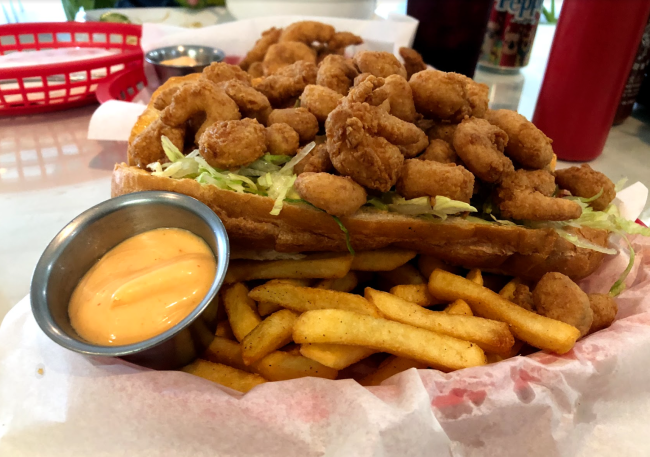 This isn’t your typical Viet-Cajun fusion restaurant—they have a full menu of both strictly Vietnamese and strictly Cajun food. Despite being tucked away in a shopping center, the restaurant’s interior is fun and modern and features an Insta-worthy flower wall. Most importantly, the food is affordable and plentiful. I’m a creature of habit, so it’s always the fried shrimp po’ boy for me, but the combination pho is killer as well. 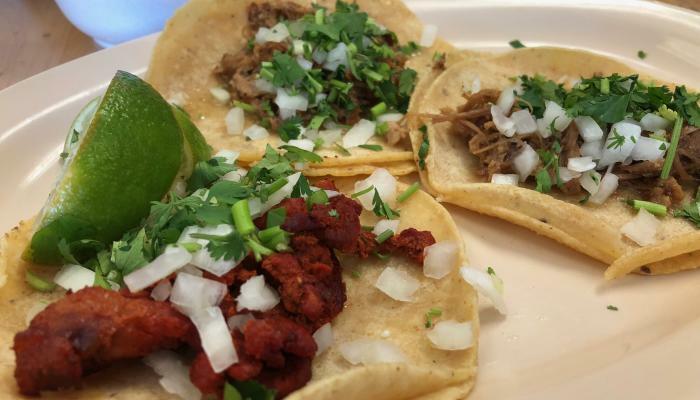 One of the first places I visited after moving to Arlington was Tu Taco. I grew up with ground beef, dried taco seasoning packets, lots of shredded cheese and crunchy shells. 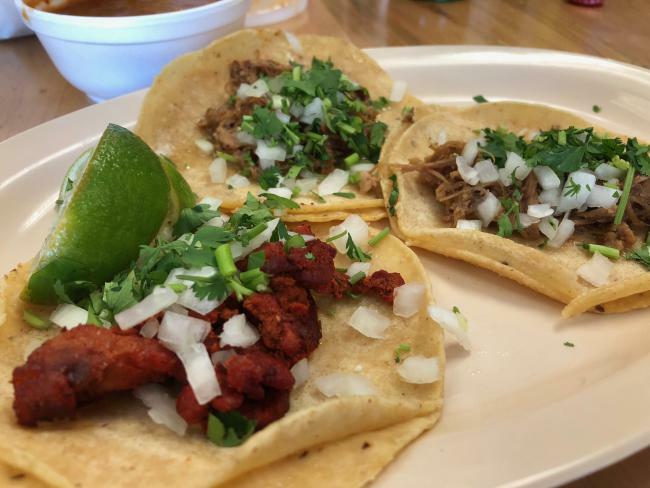 Now, I still love my homemade tacos, but Tu Taco makes authentic street-style tacos—double corn tortilla with only onion, cilantro and lime to top. The hot sauce may make your face melt, but it is worth it. I love coming here during lunch, looking at the vibrant artwork and enjoying the refreshing taste of a cool Mexican Coke. New York Eats is just a stone’s throw away from UTA and perfectly caters to the campus’ diverse student body. The restaurant serves, as the name implies, New York-style halal street food and various NY-themed burgers and platters. “Broadway Burger,” anyone? 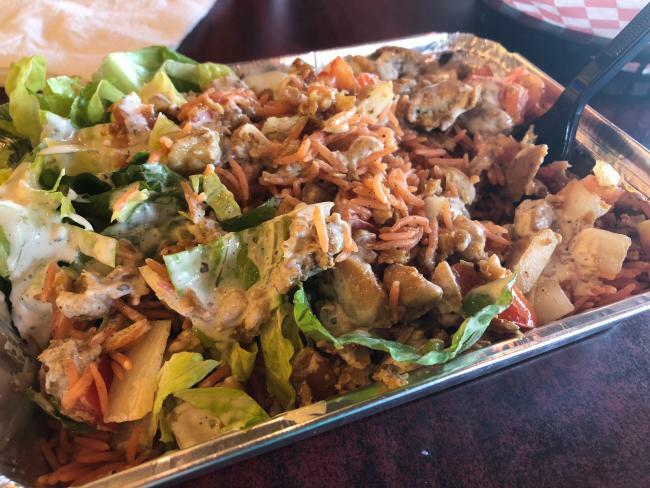 My favorite is the simple chicken over rice, with tons of their white sauce #thatsaucetho. The spicy flavors are perfectly balanced and completely different from the Southwest spice I’m used to. I will always love fried, buttery food, but I’m glad Arlington has given me the opportunity to discover new tastes, flavors and cultures. Almost every time I go out, I find a new place to discover delicious eats as well as unique cultures.